Prevention and control of school bus accidents have been a hot spot topic around the world. The catastrophic accident can result in severe casualties associated with negative social impacts. In this study, a Bayesian network (BN) model is established for school bus accident assessments considering the influential factors including human error, vehicle failure, environmental impacts and management deficiency. The conditional probabilities of a few root nodes are statistically obtained based on school bus accidents that occurred in the past decade in China. The conditional probabilities of other BN nodes are determined by expert knowledge with treatment by the Dempster–Shafer evidence theory. The consequences of different scenarios of school accidents are estimated via changing the state values of some BN nodes. Furthermore, by conducting sensitivity analysis to the proposed BN, it is identified that “overload” is the most influential factor causing a school accident. The results of the proposed model indicate that the integration of Bayesian network and the Dempster–Shafer evidence theory is an effective framework for school bus accident assessment, which could provide more practical analysis for school bus accidents. 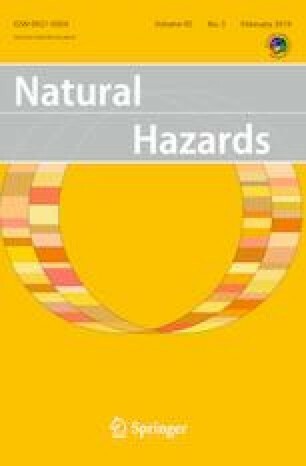 This study could contribute to providing technical supports for school bus safety particularly in developing countries. This work was supported by the National Natural Science Foundation of China (Grant No. 11502283) and the Yue Qi Scholar/Young Scholar Program of China University of Mining & Technology, Beijing.